The Veterans Affairs Department proposed a rule Friday that would allow VA providers anywhere in the country to conduct telehealth visits with VA patients across state borders, regardless of state licensing. Giving patients access to providers across state lines is necessary for the VA to grow its telehealth program and increase the number of sites where the VA provides care, wrote Michael Shores, director of regulation policy and management in the VA secretary's office. This rule would amend VA medical regulations to do so. "Eliminating veteran suicide and providing access to mental health care is VA's number one clinical priority, and this proposed rulemaking would improve VA's ability to reach its most vulnerable beneficiaries," Shores wrote. In fiscal 2016, VA providers saw 702,000 patients via telemedicine in 2.17 million episodes of care. Nearly half of those who received telemedicine care live in rural areas. "By increasing VA's capabilities to provide telehealth services, VA would be able to expand these services," Shores wrote. The rule would complement the VA's push to increase the use of technology in veterans' healthcare, an effort VA Secretary Dr. David Shulkin called "anywhere to anywhere VA healthcare" when President Donald Trump announced the initiative in August. Right now, VA telehealth care is limited by state restrictions. If a physician were to see a patient via telemedicine in a state in which the physician is not licensed to practice, that physician could lose his or her credentials and be fined. 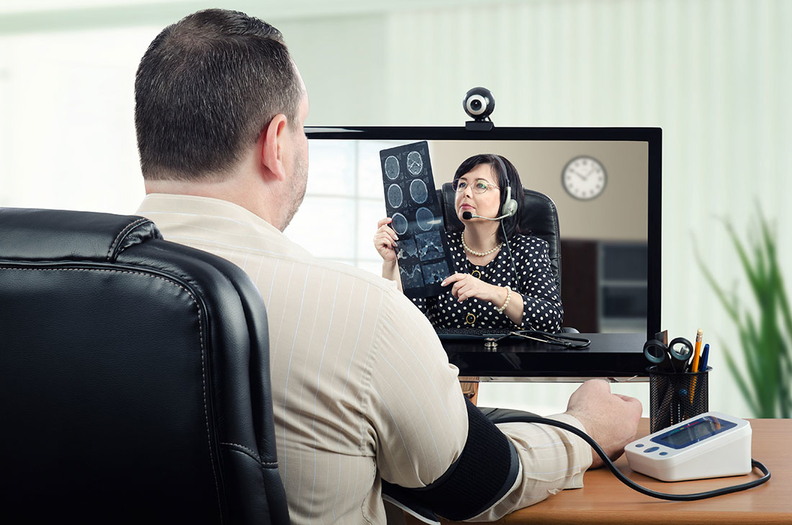 Under the proposed rule, physicians wouldn't be penalized for providing telemedicine outside the states where they're currently allowed to practice. A federal rule is necessary to relax these restrictions because it would take too long for every state to nix the penalties, according to Shore. "While the VA's rule is limited, in that it would apply only to VA providers and VA patients, it could be the first step towards a national medical practice licensing concept," said Nathaniel Lacktman, a healthcare lawyer with Foley and Lardner. "Overall, I predict providers will look upon this new rule favorably."